The company says the new shared ride option allows you to join other users with similar routes on the same trip and share the cost of the trip. Ride-hailing company Uber has been able to expand fast across 600 cities of the world in just about nine years after its launch in the US in 2009. In India, however, the global giant has always been on the number two position, failing to topple the homegrown cab aggregator, Ola. The company's recent launches have been India centric -- like Uber Lite and Uber Pool -- but mostly it's the follow up of what Ola has already launched in India. Considering a huge popularity of its pool services, and India being one of the largest pool markets, Uber has now decided to launch Express Pool service in India. "We are exploring multiple innovations in order to minimise the inconvenience for riders in term of time spent in vehicle sharing," Prabhjeet Singh, Regional General Manager, Uber India & South Asia, said in an interview with Business Line. Singh said the company's upcoming products like the Express Pool are being tested keeping in mind the Indian market. "In its early days of pilot, we are encouraging riders to walk a little so that they can optimise the matching algorithm," he told the newspaper. So what is Express Pool? The company says the new shared ride option allows you to join other users with similar routes on the same trip and share the cost of the trip. The Express Pool works like its Pool service, but rather than picking you up from your location, you will board a cab from designated pickup and dropoff spots. Interestingly, Ola had launched a similar service called Ola Shuttle way back in September 2015, with a fleet of over 500 vehicles in at least 10 cities of India. However, Ola had to shut it down as most of its demand was coming from cabs or auto-rickshaws. The company closed the shuttle service in February this year, calling it a portfolio rebalancing plan. 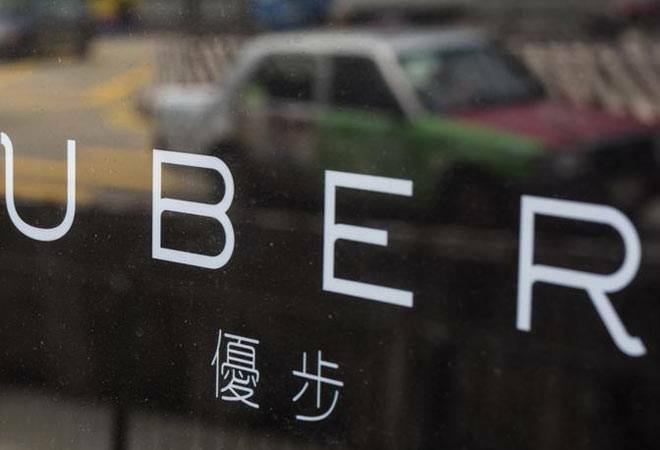 However, Prabhjeet thinks that the success of the Uber Pool service is a testament to the fact that its Express Pool service would be a hit among the cab users. The company, he said, is working to improvise the backend services to make the overall riding experience better for its customers. South Asia, including India, is an important market for Uber. The company has stated it will continue to invest in the country as it looks to grow business in the incredibly important and core market by up to 10 times in a decade. Early this year Uber CEO Dara Khosrowshahi had also confirmed that India is a key component of Uber's growth plan. "When I think about Uber, and where we are going to be five to 10 years from now, our success in India is going to play a vital part in the growth of this company," he said. The company had come up with a Lite-version of its ride-hailing app on June 13. The service was launched to assist travellers in booking a ride even when they are facing bad connectivity. While the full version of the app consumes almost 180 MB space on IOS devices and 40 MB on Android phones, the slimmed down version is expected to be just around 5 MB. The Lifte app is also useful for users with lesser storage facility in their mobile phones. Besides, the US-based cab aggregator is also planning to make its app available in seven Indian languages, including Hindi, Gujarati and Tamil, to commuters in India as it looks to strengthen its position in India with localised offerings.